Command Sgt. Maj. Daniel Santiago,, Command Sgt. Maj. Michael Gragg, Lt. Gen. West and Weed Army Community Hospital Commander, Col. Larry France, pose together after the Army’s 44th Surgeon General’s Town Hall with the community. 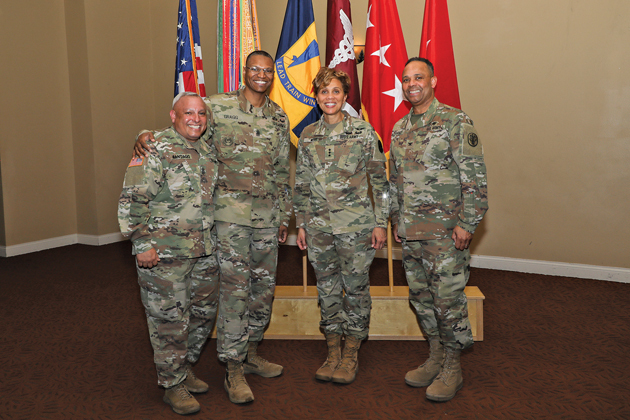 FORT IRWIN, Calif. — Lt. Gen. Nadja West, the Army Surgeon General and Commanding General of MEDCOM, toured the Defense Department’s only LEED Platinum hospital while visiting Fort Irwin for two days on March 13 and 14. Construction of Weed Army Community Hospital (WACH) was complete in October. 2017 and the tour focused on the challenges and initiatives of the hospital’s key services. West concentrated on the human element of health care delivery as she met with staff in the Pharmacy, Primary Care Medical Home, Behavioral Health, Labor and Deliver, and the Emergency department, observing and engaging with the 2/1 ID medical personnel. Following the hospital tour, West and Command Sgt. 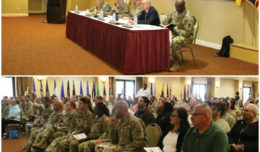 Maj. Michael Gragg hosted a Town Hall for MEDDAC staff and Fort Irwin beneficiaries to address the Military Health Systems’ transition to the Defense Health Agency and concerns surrounding healthcare delivery. The team provided insight to a crowd of more than 250 people on the driving factors behind the transition and the importance of healthcare in the Army’s focus on readiness. The event wrapped up with West recognizing a few of the MEDDAC’s outstanding team members for their significant contributions to Fort Irwin. 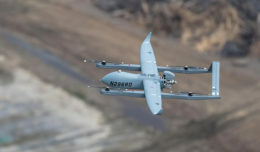 The town hall was captured on video and can be viewed on Fort Irwin’s National Training Center YouTube page and on Facebook.com/FtIrwin. On her final day, West, along with Gragg visited Role I and Role II to observe live medical training and telemedicine capabilities. While at Role I, they observed medical training with two amputees that stressed the medical capabilities of the 5-4 CAV squadron aid station. Additionally, while observing the training, both discussed the importance of readiness, and Soldier lethality, transitioning to the Defense Health Agency, and focusing on medical and warrior task competencies. While at Role II, they observed the amputees follow on treatment and a demonstration of telemedicine in a bag (THIAB) capabilities with another Role I that had a trauma patient. While touring the 299 BSB Role II and mortuary affairs facilities, discussions included communication platform deficiencies, leadership challenges, MTOE Assigned Personnel (MAP), and patient tracking. The culminating event of the box was a discussion with senior leadership at the National Urban Warfare Center (NUWC) overlooking one of the towns that the rotational training unit must attack to seize. Discussions with future brigade commanders focused on restructuring of medical assets throughout the organization, potential regulation and evacuation platform changes, performance triad, mental health, the IDES process, and leadership challenges. 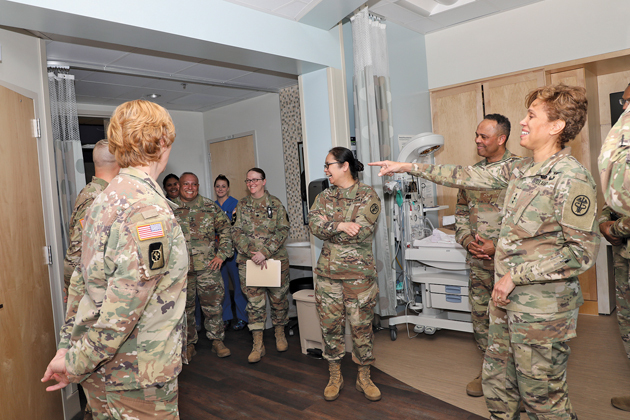 Lt. Gen. Nadja West, spent two days at the National Training Center, touring the Weed Army Community Hospital (WACH), observing and engaging with the 2/1 ID medical personnel, participating in Rotation 19-05 by visiting the Box and conducting a round-table with leaders. Lt. Gen. Nadja answered questions from the audience about the future of Army medicine and health care delivery for more than an hour during her Town Hall at the Sandy Basin Community Center in Fort Irwin.